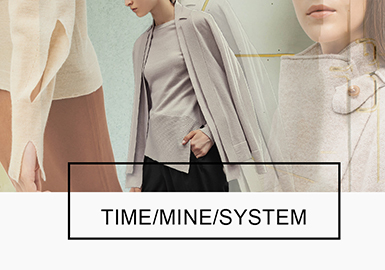 The Handsome owns three lady brands: Time, Mine and System. Yarns, cutting and stitches in fine needle knitwear from the above brands are all high-quality. In 18/19 A/W, let's check their new design ideas. Trendiano features a British style, blending Western popular cultures with global trends. The A/W 18/19 collection works with F4 (Dylan Wang, Connor Leong, Darren Chen, Caesar Wu) to explore fashion trends. 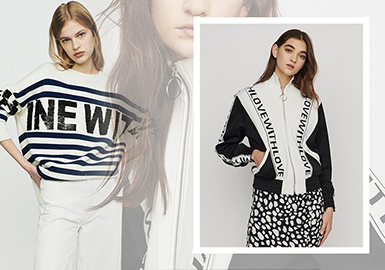 The womenswear brand Maje from Paris was launched in 1995. Its founder Judith Milgrom was born in the exotic coastal town of Morocco and grows in the culture-rich Paris. Influenced by both romanticism and North African cultures, Judith Milgrom creates mysterious and delicate Bohemian looks, reflecting the diversity and confidence of women. Urban Revivo upholds "Incite, Inspire, Intermesh & Play Fashion" as its brand concept. 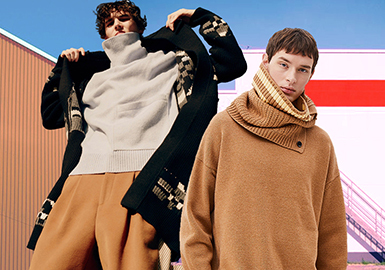 The A/W 18 collection takes us to a virtual world, and encourages us to keep real and different. System Homme is a brand of the Korean company Handsome, featuring slim shapes and stylish design for expressive males. The label focuses on customized fitted silhouettes, high-end materials and trendy details. The A/W 18 collection entices customers including celebrities with delicate suits and smart casual items. 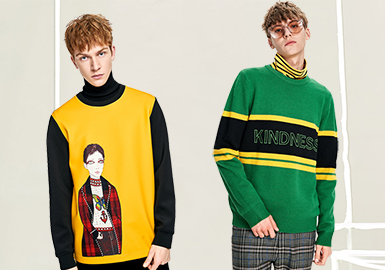 III VIVINIKO launched a designer brand – VVNK Jane Plus in 2018, sticking to the aesthetic philosophy "to reform and be unique". It is targeted at the urban mature women with luxury, high-quality and casual wear. The first collection covers women's garments, shoes and accessories. Diesel is a famous international company dedicated to innovation. Renzo Rosso founded Diesel in 1978, which later became one of the prominent brands owned by OTB. The values of Diesel are passion and individuality. Initially, it manly made denim garments, then gradually stepped in the field of high-class leisure garments. 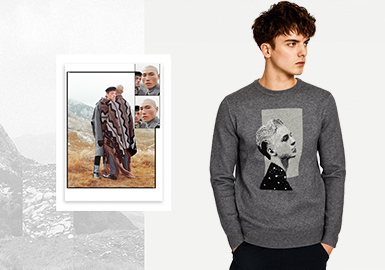 The knitwear of Diesel are particularly popular. Joseph is a luxury ready-to-wear brand and retail chain established by Joseph Ettedgui in 1972. It made early business association with designers like Kenzo, Cotelbajac and Azzedine Alaia, and changed the history of knitwear. On October 17, Sandro unveiled "The Muppet Show x Sandro" capsule. The brand founder and creative director Evelyn Chetrite, CEO for Asia Stephane Ledru and brand ambassador Ma Sichun attended the promotional event. Lily is bold with colors; III VIVINIKO and ICICLE show elegant shades; Edition exudes a natural style; Maje is youthful and vibrant. These brands tap into the trends of nature, environment, life and art, and they play with seasonal colors. British designer Zoë Jordan founded this namesake brand. She takes inspiration from auto racing and adventures. 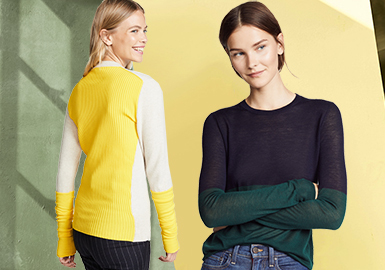 The brand features elegant styles and neat lines. 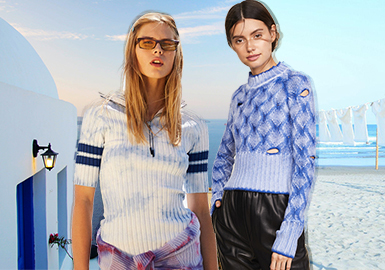 The S/S 19 collection reveals a sporty and optimistic mood. Athleisure becomes an ideal option for women to express themselves. Young women have different sides to their personalities, can be quiet, whimsical, carefree or curious, reflecting unique charm. 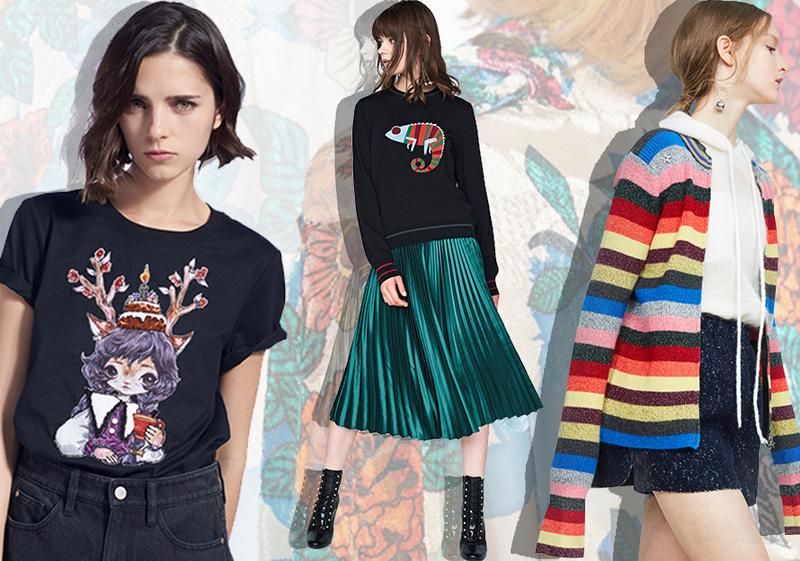 They love sumptuous looks – fun patterns, luxurious styles or folkloric girly effects. They also embrace sweet and fresh styles – bowknots, polka dots, preppy stripes and artistic cotton and linen items. Sonia Rykiel, the Queen of Knits, launched her namesake brand in 1968. The French label is known for its iconic black, stripe, strass and letter design. The designer tells women to enjoy a suitable style, not to blindly follow trends. Sonia Rykiel emphasizes the independent quality of women and collocations of clothing, ideal for fashion-forward customers. Founded in November, 1985, Massimo Dutti from Spain started as a menswear brand, and it launched womenswear in 1995. 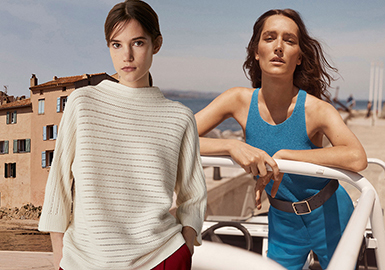 Massimo Dutti caters to middle- and upper-class women in cities who are sophisticated, stylish and have good taste, ranging from 25 to 45 years old. The collections echo global trends but are still distinctive. 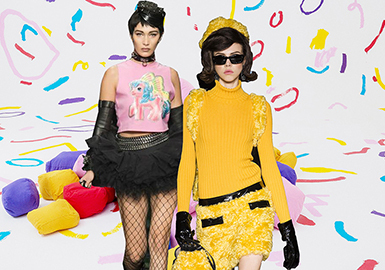 Founded in 1983, the Italian brand Moschino was named after the designer Franco Moschino, featuring eccentric, humorous and chic styles. It covers ready-to-wear, jeanswear, partywear and accessories. Moschino has three lines: Moschino, Moschino Jeans (Love Moschino) and Moschino Cheap & Chic (Boutique Moschino).